As inner-ring suburbs in the United States become denser, demand for access to nearby walkable urban environments is rising. Residents are looking for shorter driving distances to commercial, cultural, leisure, and work opportunities. Municipalities are also interested in promoting compact development near transit. As a result, the next big wave of development will focus on creating nodes of mixed-use infill projects in these suburbs. The challenge is to integrate these nodes into suburbs that were originally built to accommodate the automobile, with single-use zoning that often limited mixed-use development. 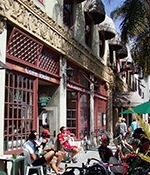 The principles of new urbanism provide a useful framework for infill development and redevelopment in these areas, as long as they are informed by the best practices of successful retail and mixed-use design, awareness of the capital allocation and financing realities faced by developers, attention to market demand and demographic trends, and new approaches to coping with—and parking—the automobile. Cities that developed before the advent of the automobile provide a useful model. Out of necessity, these cities were pedestrian oriented and featured a mix of uses within walking distance of each other. Early new urbanist efforts to apply these principles to new projects were largely residential, such as Seaside, Florida, in 1981 and Disney’s Celebration, Florida, in 1996. They transformed the concept of the American suburb. A key concept was form-based codes, which regulate the physical form of the built environment as well as the type of use, and which brought back a focus on qualities that make the urban realm vibrant. These kinds of developments have had success with the residential component; the challenge is getting commercial uses to thrive. It takes significant population density to support a retail center, especially a regional one. In addition, a new Main Street–style retail project may have difficulty competing with existing regional retail projects in the suburbs. The idea of “build it and they will come” may not pan out for developers unless the demographics are right, the population numbers support it, and individual uses are timed to market needs. This happens in well-established communities, too. In the flatlands of Berkeley, California, after a plan for an industrial park on Fourth Street failed, a small, local design/build firm, Abrams/Millian & Kent, began building a pedestrian-focused retail district that drew the attention of developers from across the country and helped them see the street as a focus of new development. The Fourth Street shops mix independent retailers with a few national chains and have created a thriving upscale shopping district. Complicating matters, real estate deals tend toward simplicity: developers prefer buildings to either contain a single use, or at least to have a strong leading use. Municipalities have not always had success trying to regulate the mixing of uses: requiring developers to put in ground-floor retail space does not always work in the current market. A better alternative is to get individual deals to add up to mixed use. A flexible form-based code focusing on place, infrastructure, and urban form dovetails well with this, giving the market freedom to enable the right uses to come in. The plan should be flexible enough to accommodate changes in the market. Mueller’s town center, a 39-acre (16 ha) portion of the overall 700-acre (280 ha) project, creates a sustainable urban village environment that includes retail space, offices, entertainment, and multifamily housing. The 39-acre (16 ha) town center at Mueller in Austin, Texas, was created with flexibility in mind. The product of a public/private partnership between the city and the Oakland, California–based Catellus Development Corporation, Mueller is the 700-acre (280 ha) redevelopment of the Robert Mueller Municipal Airport. Mueller’s town center will include local, regional, and national retailers, restaurants, and entertainment tenants, as well as residential, office, hotel, and museum uses. The first phase of Mueller is complete, representing more than one-third of the project’s commercial component, one-quarter of the residential component, and half the open space planned by the project’s completion. Within Mueller’s town center, anchors already complete or in development total 1,022 residential units, over 200,000 square feet (18,600 sq m) of occupied commercial office space, the Austin Children’s Museum opening in December, and the 30-acre (12 ha) Lake Park. Mixing uses horizontally, in separate buildings, allows more flexibility than stacking different uses vertically in the same building. Church Street Plaza in Evanston, Illinois, is an example. The project began with a 7.5-acre (3 ha) parcel—used for surface parking next to Northwestern University—part of which was owned by the university and the other part by the municipality. Instead of mixing uses vertically, local developer Arthur Hill & Co. proposed a horizontal mixed-use development spreading across the entire acreage. This approach enabled the creation of a fully realized public realm virtually all at once. It also allowed the design to focus on the blocks and the streets needed to tie the development together, with street-level retail shops around the entire site serving as the glue. Adding to the sense of authenticity and community, Mueller includes noncommercial anchors, such as the Austin Children’s Museum, the Dell Children’s Hospital, University of Texas research facilities, and public parks. Downtown Summerlin in Las Vegas is an example of a greenfield development that is evolving over time. Early developments in the downtown area, planned to serve as the mixed-use core for the entire 22,500-acre (9,100 ha) master-planned residential community of Summerlin, include a resort casino, multifamily housing, and small retail/commercial projects fronting Charleston Boulevard and Town Center Drive, the northern and eastern borders of the roughly 400-acre (160 ha) core. The first phase of Chicago-based General Growth Properties’ original plan for Summerlin Centre, a 100-acre (40 ha) regional center located within the core, was intended to provide a high-quality off-strip mix of retail, residential, and office development. General Growth conceived Summerlin Centre as an alternative to the Las Vegas strip—a place that would provide for the entire community a complementary identity, character, and purpose. The original design plan called for a traditional downtown and a series of flexible development parcels defined by a network of landscaped boulevards, streets, shaded sidewalks, and public open spaces. The 1.6 million-square-foot (148,600 sq m) initial development plan included regional retail, restaurant, and office uses. Future phases would be developed in surface parking lots in response to market conditions, and would likely include a mix of low- and medium-density housing, entertainment, and office uses. In 2010, the Howard Hughes Corporation, based in Dallas, assumed ownership of the project and is revising the master plan. Successful retail development is inseparable from suc­cessful urban places—places where people of all ages and backgrounds can gather and engage in a spontaneous, unprogrammed way. Blending local and regional tenants, Mueller’s town center strives for minimum of 30 percent locally owned businesses. “For retail to work, it must be designed to support and animate these places, not get in the way,” says Jim Adams, principal of McCann Adams Studio in Austin and overall master planner for Mueller. “It must help create an authentic experience that reinforces the unique aspects of the place. This is particularly important today when retail has become so homogenized and banal.” He names the Grove at Farmers Market in Los Angeles and Americana at Brand in Glendale, California, as models of shopping complexes that successfully incorporate an urban aspect. “They are places with the typical retail uses, but packaged in an urbanist venue with carefully crafted public spaces that are actually successful in encouraging people to stay longer and to spend more,” he says. Other strategies for successfully integrating retail space include collecting tenants in one part of the project so there is a clear, walkable path through the retail area; giving each tenant high visibility so customers can find them easily and each tenant can showcase its individual identity; and creating a streamlined relationship between parking and stores so shoppers can easily park, see where they are going, find their way there, and return to their cars with their purchases. In the instance of an apartment/strip retail center complex in Silver Spring, Maryland, Tower Companies, based in Rockville, Maryland, recently announced redevelopment plans that will add 450,000 square feet (41,800 sq m) of new commercial space and double the number of apartment units. Landscaped parks are to take the place of the surface parking lot, and emphasis will be placed on the pedestrian realm. Townhouses or storefronts will wrap around new parking structure podiums. Served by two commuter train lines and adjacent to Northwestern University, Church Street Plaza in Evanston, Illinois, created a retail and entertainment pavilion, a hotel, offices, and a residential tower on a former brownfield site. This campus gateway project reduced the need for residents and students to travel out of the area for shopping or for evening entertainment. The first step in adding density and diversity to large existing sites is to free up land that is now devoted to surface parking. Projects start, and often die, at this crucial juncture because of the cost of structured parking and the sometimes artificially high requirements for parking spaces set by minimum parking standards. Currently, most structured parking needs a public financing component in order to pencil out. “Municipalities have a vested interest in successful retail centers and have often participated in funding parking structures to overcome the financial hurdle,” says Adams. At the 2ND Street District in Austin, for example, the city constructed three levels of subterranean parking below city hall that supports the retail district, he notes. Another example is Block 89, an office complex in downtown Madison, Wisconsin. Madison’s community development authority sold taxable revenue bonds to finance construction of parking for the complex; the private developer developed the parking ramp under a fixed-price contract for the authority, which leases it to the city, which leases it back to an affiliate of the developer. Because most city budgets are tight, other strategies beyond relying on the public sector are going to be necessary to make structured parking economically feasible. Suburbanites are less willing to pay for parking than urbanites and are more accustomed to surface parking, but habits can change. A multipronged approach is required—one that reduces demand and slowly introduces paid parking. Key elements include understanding differences among markets, unbundling the cost of parking from the associated use, and eliminating minimum parking requirements. “The solution is to place parking in more of a free-market environment so that it can become financially and resource efficient,” says Patrick Siegman, principal of Nelson\Nygaard, a consulting firm in San Francisco. Shopping center employee parking can be managed to reduce peak demand, which drives parking capacity requirements. For example, many shopping centers use off-site parking for employees between Thanksgiving and Christmas, significantly reducing the annual peak demand that determines parking-lot size. At shopping centers, charging for close-in premium parking is a first step toward acclimating customers to paid parking. In Main Street–style projects, parking meters on the street can bring in revenue while encouraging turnover; merchants benefit because customers can generally find a spot to park. Many cities are introducing modern parking meters that enable users to pay for their space with a credit card or smartphone. “It’s crazy for a customer to be able to buy merchandise in the mall with a phone or card and then have to fish around for change and be anxious about having cash for parking,” Siegman says. Offering a 90-minutes-free parking program for the less convenient spaces gives shoppers enough time for short purchase trips. Using technology that is already in place for bridges and toll roads to make payments effortless will go a long way in implementing these kinds of policies. For example, in the San Francisco Bay area, the FastTrak bridge toll-collection system also works at the parking structures for San Francisco International Airport. Use of paid parking and demand management will help the parking supply match demand, eliminating the excessive supply generated by minimum parking standards. Elimination of minimum parking standards should be a major goal of planners seeking to add density to suburbs. Achieving it requires creating neighborhood parking districts with permits so parking does not spill into neighborhoods; changing the practice in many cities of using reduced parking requirements as a negotiating chip with developers; and managing on-street parking with meters, returning the money to the district. Another challenge in creating large mixed-use developments is creating that elusive quality of authenticity that customers want, especially younger ones. No matter how much the form of a project echoes pre-automobile town centers or how much the architectural style takes its cues from the region, if all the tenants are the familiar national chains that occupy every other retail center, the place likely will lack a sense of authenticity and fail to attract members of younger generations. Customers want both national and local tenants, yet real estate developers are largely reliant on national chains to make sizable retail projects pencil out. Mom-and-pop tenants usually are not considered creditworthy by the institutions that finance mixed-use projects. However, there are ways to blend local and regional tenants. With Mueller’s town center, Catellus and Austin agreed that the town center would seek to have 30 percent of its tenants be locally owned businesses. Reliance on restaurants and other food services will play a big role in helping Mueller meet this target. Whereas fashion and technology tend to become homogeneous at a national scale, food can retain and embody local culture in an enduring and profitable way. The local-ownership agreement also addresses Mueller’s goal of playing a role in the city’s economic development and counts local owners of national franchises in the target. Another way to help create a sense of authenticity is to add noncommercial uses that relate to the locale and that diversify and broaden the user base. “To the extent possible, retail developments should connect to existing places that have meaning in the community,” says Adams. “They should be designed as seamless extensions of existing neighborhoods or districts and should include other activities, such as places of employment, cultural uses, and residential components that give further meaning to the place beyond shopping.” This approach also helps ensure long-term economic stability and local relevance. Anchors at Mueller include the Austin Children’s Museum, the Dell Children’s Hospital, University of Texas research facilities, and public parks—all stable and long-term uses. Farmers markets, pop-up retailers, food courts, entertainment-driven events, and other temporary uses also help tie a district to its community and give customers an opportunity to feel ownership of a place. Reflecting the specific ethnic makeup of a community also helps. Many inner-ring suburbs have substantial ethnic diversity, and the particular mix of ethnicities varies from region to region and suburb to suburb. In Atlanta, a failing enclosed mall was remodeled in an architectural style that drew on Mexican street markets. With national as well as Latin American retailers, the 350,000-square-foot (32,500 sq m) center, renamed Plaza Fiesta, has been doing well since it opened in 2000, catering to the region’s large Latin American population. Similarly, a 1960s-era mall in Fort Worth, Texas, was repositioned and renamed La Gran Plaza in 2008 to appeal to the area’s sizable local Latin American population. La Gran Plaza includes a Cinema Latino and an arena for rodeos and concerts. Whereas the revitalization of the core of cities was the siren call for previous generations of urban planners, the focus now should be on redeveloping the anonymous arterial roads, dispersed uses, and strip centers that dominate so much of the American landscape. It is possible to create vibrant, pedestrian-friendly environments that take cues from cities built before the age of the automobile, while also accommodating the automobile in ways that work for the 21st century. It is possible to combine big-box tenants and national chain retailers with more local and regional uses in environments that convey a sense of authenticity and connection to the specific qualities of the community. It is possible to locate a variety of uses near each other in ways that allow for flexibility in the kinds of uses and enable each use to be added only when market demand exists. The result will be a radical reworking of the nation’s suburbs—a new suburbanism. D. Jamie Rusin is principal, Sean Slater is director of retail and mixed use, and Ryan Call is senior associate of ELS Architecture and Urban Design in Berkeley, California. ELS was involved in the planning for Church Street, Summerlin, and Mueller. Why Did Copenhagen’s Biking Rate Surge in One Year? How are we going to plan the cities of the future? Master in Regenerating Intermediate Landscapes · Blog of the official Masters in Regenerating Intermediate Landscapes: Exploring solutions to urban sprawl, managing emergent landscapes and building a more efficient and sustainable metropolis.